The protection of the personal data (hereinafter termed »data«) of website users is a matter of special concern to us. The information below provides details of the nature, extent and purpose of collecting, processing and deploying users’ personal data. Person-specific data constitutes all data which contains information about the personal or material circumstances of a specific or identifiable user. Such information includes, for example, name, e-mail address, residential address, date of birth and telephone number. In the event of the purely informational use of the Akademie Schloss Solitude’s internet presence, only the access data transferred automatically by users’ internet browsers is collected to the extent that this is technically necessary (name of the file retrieved, date and time of retrieval, quantity of data transmitted, notification of successful retrieval, browser type and version, users’ operating systems, referrer URL (the previously visited site), IP address and the requesting provider). The Akademie Schloss Solitude is not able to ascribe this data to specific individuals, and the information is not merged with data from other Akademie Schloss Solitude sources. It is evaluated for statistical purposes, in order to optimize our internet presence and our range of services. The data is deleted after evaluation. Personal data is only collected, used and passed on by the Akademie Schloss Solitude in the event that this is legally permissible, or users agree to the data collection. When contact is made with us (e.g. via contact form or e-mail), user data is saved in order to process the request and in the event that subsequent queries arise. When users leave comments on the website, their IP addresses are saved. This is carried out in the interests of our security, in the event that someone posts illegal comments (libelous insults, banned political propaganda, etc.). In this case, the Akademie Schloss Solitude may be sued as a result of the comment and thus has a vested interest in its author’s identity. However, the IP addresses of those leaving comments are deleted as soon as we have read the comments in question. This usually occurs within a few hours. Your e-mail address will only be used in order to send the requested articles. You may unsubscribe from this service at any time. The IP address will be saved at the times of registration and confirmation, in order to verify the former in case of doubt. It may be the case that third-party content, such as YouTube videos, Google Maps material, RSS feeds or graphics from other websites are integrated within this internet presence. This always requires that the providers of said content (hereinafter referred to as “third-party providers”) log the users’ IP addresses because, if they fail to do so, they are unable to send the content to the respective users’ browsers. As a result, the IP address is required in order to display the content in question. The Akademie Schloss Solitude makes every effort to use only such content offered by providers who use IP addresses solely in order to deliver content. However, the Akademie Schloss Solitude is unable to prevent third-party providers from saving the IP addresses, for example for statistical purposes. The Akademie Schloss Solitude will inform users of this as far as it is aware of the same. The IP address transmitted by the website users’ browser within the framework of Google Analytics will not be merged with other Google data. Although it is possible to prevent cookies being saved by activating the corresponding browser software settings, the Akademie Schloss Solitude would like to draw your attention to the fact that users may be unable to use all website functions as a result. The Akademie Schloss Solitude alerts you to the fact that this website uses Google Analytics with the extension “anonymizeIp()”, and that IP addresses will therefore only be processed in an abbreviated form to prevent the direct identification of individuals. Furthermore, it is possible to prevent the collection of data generated by the cookie which is related to your website use (including your IP address) and its processing by Google by downloading and installing the browser plugin saved at the following link: http://tools.google.com/dlpage/gaoptout?hl=de/. The Akademie Schloss Solitude uses social plugins from the social network facebook.com, which is operated by Facebook Inc., 1601 S. California Ave, Palo Alto, CA 94304, USA (“Facebook”). Plugins can be recognized as one of the Facebook logos (white “f” on a blue tile or a “thumbs up” symbol) or are indicated with the additional text “Facebook social plugin”. The complete list and description of the Facebook social plugins can be viewed here: https://developers.facebook.com/docs/plugins/. When users retrieve a web page within the Akademie Schloss Solitude internet presence which includes one of the plugins described above, their browsers create a direct connection with Facebook’s servers. Facebook transmits the plugin’s content directly to its browser, and from this to the web page. As a result, the Akademie Schloss Solitude has no influence over the extent of the data which Facebook collects with the aid of the plugin. Via the plugin’s integration, Facebook is informed that a user has retrieved the corresponding page of the internet presence. If the same user is logged into Facebook, the latter can correlate the visit with the user’s Facebook account. If users interact with the plugins, activating the “Like” button or posting a comment, for example, the relevant information is transferred by their browsers directly to Facebook, where it is saved. If users do not hold Facebook accounts, Facebook may still ascertain their IP addresses and store these. According to Facebook, only an anonymized IP address is stored within Germany. If users who are Facebook account holders do not wish to have data collected about them by Facebook via our website and linked with the membership data stored by Facebook, they must log out of Facebook before visiting the Akademie Schloss Solitude’s internet presence. The Akademie Schloss Solitude uses buttons from Twitter services. These buttons are provided by Twitter Inc., 795 Folsom St., Suite 600, San Francisco, CA 94107, USA. They can be identified by terms such as “Twitter” or “Follow”, in conjunction with a stylized blue bird. The buttons enable users to share a post or page within the Akademie Schloss Solitude internet presence on Twitter or to follow the provider on Twitter. When users retrieve a web page within this internet presence which includes one of these buttons, their browsers create a direct connection with Twitter’s servers. Twitter transfers the content of the Twitter buttons directly to the users’ browsers. As a result, the provider is unable to influence the extent of the data which Twitter collects via this plugin, and informs users to the best of its knowledge. According to this, the users’ IP addresses are only transmitted within the context of the URL of the web page in question when the button is used, but not used for any other purposes apart from the button’s display. When users retrieve a web page within our internet presence which includes one of the plugins described above, their browsers create a direct connection with Instagram’s servers. Instagram transmits the plugin’s content directly to its browser, and from this to the web page. Via the plugin’s integration, Instagram is informed that the browser has retrieved the corresponding page of our internet presence, even if the users have no Instagram profiles or are not currently logged into Instagram. This information (including the users’ IP addresses) is transferred directly to an Instagram server in the USA by their browsers, where it is saved. In the event that users are logged into Instagram, the latter can correlate the visit to our website directly with the user’s Instagram account. If users interact with the plugins, activating the “Instagram” button, for example, the relevant information is also transferred directly to an Instagram server, where it is saved. The information is also published on the users’ Instagram accounts and displayed to their respective contacts. The Akademie Schloss Solitude uses WordPress.com stats, a tool used in the statistical analysis of visitor accesses and operated by Automattic, Inc., 132 Hawthorne Street San Francisco, CA 94107, USA, using tracking technology developed by Quantcast Inc., 201 3rd St, Floor 2, San Francisco, CA 94103-3153, USA. WordPress.com stats uses so-called “cookies”, or text files, which are deposited and stored on users’ computers and facilitate an analysis of their website use. The information relating to the use of this internet presence generated by the cookie is stored on a server in the USA. The IP address is anonymized prior to being stored. Although users can prevent cookies being stored by activating the corresponding browser software settings, we would like to draw your attention to the fact that you may be unable to use all website functions as a result. Users can revoke their consent regarding the collection and use of data by Quantcast with effect for the future by inserting an opt-out cookie in their browsers through clicking on the following link: “Click here to opt out”: http://www.quantcast.com/opt-out. 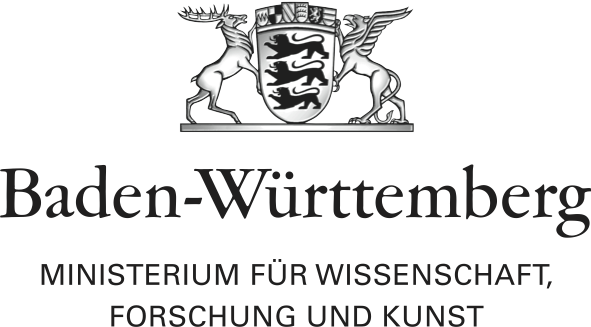 According to the provisions of the Federal Inter Act (BDSG), all users of the Akademie Schloss Solitude’s internet presence are entitled to request particulars of the data stored by us concerning them at any time, and the purpose of this storage. Furthermore, users are entitled to demand the rectification or deletion of data in cases where its storage is found to be illegitimate or no longer required. The Akademie Schloss Solitude will provide information concerning stored data on written request. The Akademie Schloss Solitude endeavors to take all possible technical and organizational steps to store its users’ personal data in such a way that it this not accessible by third parties. Its employees, and any contracted service providers, are bound by the Akademie Schloss Solitude to maintain confidentiality and to comply with the provisions of the Federal Data Protection Act (BDSG) and other professional data privacy regulations. Der Schutz der personenbezogenen Daten (künftig: »Daten«) von Nutzern der Webseite ist uns ein wichtiges Anliegen. Nachfolgend informieren wir über die Erhebung und Speicherung von Daten, die Art der Daten und deren Zweckbestimmung. Personenbezogen sind alle Daten, die Angaben über persönliche oder sachliche Verhältnisse eines bestimmten oder bestimmbaren Nutzers enthalten. Dazu zählen beispielsweise der Name, die E-Mail-Adresse, die Wohnadresse, Geburtsdatum oder Telefonnummer. Die Abmeldung ist jederzeit möglich, zum Beispiel über einen Link am Ende eines jeden Newsletters. Alternativ können Sie Ihren Abmeldewunsch gerne auch jederzeit an schlosspost@akademie-solitude.de per E-Mail senden. Wenn Nutzer einen Kommentar auf der Webseite abgeben, wird Ihre IP-Adresse gespeichert. Das erfolgt zu unserer Sicherheit, falls jemand in Kommentaren widerrechtliche Inhalte schreibt (Beleidigungen, verbotene politische Propaganda etc.). In diesem Fall könnte die Akademie Schloss Solitude selbst für den Kommentar belangt werden und ist daher an der Identität des Kommentarverfassers interessiert. Diese Kommentar-IP-Adressen werden jedoch gelöscht, sobald wir die Kommentare gelesen haben. Das erfolgt in der Regel innerhalb weniger Stunden. Ihre E-Mail-Adresse wird für keinen anderen Zweck verwendet als die Zusendung der Artikel. Sie können das Abonnement jederzeit abbestellen. Bei der Anmeldung und deren Bestätigung wird die IP-Adresse mit dem Zeitpunkt gespeichert, um im Zweifelsfall die Anmeldung nachweisen zu können. Es kann vorkommen, dass innerhalb dieses Onlineangebotes Inhalte Dritter wie zum Beispiel Videos von YouTube, Kartenmaterial von Google-Maps, RSS-Feeds oder Grafiken von anderen Webseiten eingebunden werden. Dies setzt immer voraus, dass die Anbieter dieser Inhalte (nachfolgend bezeichnet als »Dritt-Anbieter«) die IP-Adresse der Nutzer wahrnehmen. Denn ohne die IP-Adresse könnten sie die Inhalte nicht an den Browser des jeweiligen Nutzers senden. Die IP-Adresse ist damit für die Darstellung dieser Inhalte erforderlich. Die Akademie Schloss Solitude bemüht sich, nur solche Inhalte zu verwenden, deren jeweilige Anbieter die IP-Adresse lediglich zur Auslieferung der Inhalte verwenden. Jedoch hat die Akademie Schloss Solitude keinen Einfluss darauf, falls die Dritt-Anbieter die IP-Adresse z. B. für statistische Zwecke speichern. Soweit dies bekannt sein sollte, klärt die Akademie Schloss Solitude die Nutzer hierüber auf. Cookies sind kleine Dateien, die es ermöglichen, auf dem Zugriffsgerät der Nutzer (PC, Smartphone o. ä.) spezifische, auf das Gerät bezogene Informationen zu speichern. Sie dienen zum einem der Benutzerfreundlichkeit von Webseiten und damit den Nutzern (z. B. Speicherung von Login-Daten). Zum anderen helfen sie, die statistischen Daten der Webseitennutzung zu erfassen und sie zwecks Verbesserung des Angebotes analysieren zu können. Die Nutzer können auf den Einsatz der Cookies Einfluss nehmen. Die meisten Browser verfügen über eine Option, mit der das Speichern von Cookies eingeschränkt oder komplett verhindert wird. Allerdings wird darauf hingewiesen, dass die Nutzung und insbesondere der Nutzungskomfort ohne Cookies eingeschränkt werden. Diese Webseite benutzt Google Analytics, einen Webanalysedienst der Google Inc. (»Google«). Google Analytics verwendet ebenfalls Cookies, also Textdateien, die auf dem Computer der Nutzer der Webseite gespeichert werden und die eine Analyse der Benutzung der Webseite durch den Nutzer ermöglichen. Die durch den Cookie erzeugten Informationen über die Benutzung dieser Webseite werden in der Regel an einen Server von Google in den USA übertragen und dort gespeichert. Im Fall der Aktivierung der IP-Anonymisierung auf dieser Webseite wird Ihre IP-Adresse von Google jedoch innerhalb von Mitgliedstaaten der Europäischen Union oder in anderen Vertragsstaaten des Abkommens über den Europäischen Wirtschaftsraum zuvor gekürzt. Nur in Ausnahmefällen wird die volle IP-Adresse an einen Server von Google in den USA übertragen und dort gekürzt. In unserem Auftrag wird Google diese Informationen benutzen, um Ihre Nutzung der Webseite auszuwerten, um Reports über die Webseitenaktivitäten zusammenzustellen und um weitere mit der Webseitennutzung und der Internetnutzung verbundene Dienstleistungen gegenüber uns als Webseitenbetreiber zu erbringen. Die im Rahmen von Google Analytics vom Browser der Webseiten-Nutzer übermittelte IP-Adresse wird nicht mit anderen Daten von Google zusammengeführt. Die Speicherung der Cookies kann durch eine entsprechende Einstellung der Browsersoftware verhindert werden; die Akademie Schloss Solitude weist jedoch darauf hin, dass Nutzer in diesem Fall ggf. nicht sämtliche Funktionen dieser Webseite vollumfänglich werden nutzen können. Die Akademie Schloss Solitude weist darauf hin, dass diese Webseite Google Analytics mit der Erweiterung »_anonymizeIp()« verwendet und daher IP-Adressen nur gekürzt weiterverarbeitet werden, um eine direkte Personenbeziehbarkeit auszuschließen. Darüber hinaus kann die Erfassung der durch das Cookie erzeugten und auf Nutzung der Webseite bezogenen Daten (inkl. Ihrer IP-Adresse) an Google sowie die Verarbeitung dieser Daten durch Google verhindert werden, indem das unter dem folgenden Link verfügbare Browser-Plugin heruntergeladen und installiert wird: http://tools.google.com/dlpage/gaoptout?hl=de/. Die Akademie Schloss Solitude verwendet Social Plugins des sozialen Netzwerkes facebook.com, welches von der Facebook Inc., 1601 S. California Ave, Palo Alto, CA 94304, USA betrieben wird (»Facebook«). Die Plugins sind an einem der Facebook Logos erkennbar (weißes »f« auf blauer Kachel oder ein »Daumen hoch«-Zeichen) oder mit dem Zusatz »Facebook Social Plugin« gekennzeichnet. Die Liste und das Aussehen der Facebook Social Plugins kann hier eingesehen werden: https://developers.facebook.com/docs/plugins/. Wenn ein Nutzer eine Webseite des Angebots der Akademie Schloss Solitude aufruft, die ein solches Plugin enthält, baut sein Browser eine direkte Verbindung mit den Servern von Facebook auf. Der Inhalt des Plugins wird von Facebook direkt an Ihren Browser übermittelt und von diesem in die Webseite eingebunden. Die Akademie Schloss Solitude hat daher keinen Einfluss auf den Umfang der Daten, die Facebook mithilfe dieses Plugins erhebt. Durch die Einbindung der Plugins erhält Facebook die Information, dass ein Nutzer die entsprechende Seite des Angebots aufgerufen hat. Ist der Nutzer bei Facebook eingeloggt, kann Facebook den Besuch seinem Facebook-Konto zuordnen. Wenn Nutzer mit den Plugins interagieren, zum Beispiel den Like Button betätigen oder einen Kommentar abgeben, wird die entsprechende Information von ihrem Browser direkt an Facebook übermittelt und dort gespeichert. Falls ein Nutzer kein Mitglied von Facebook ist, besteht trotzdem die Möglichkeit, dass Facebook seine IP-Adresse in Erfahrung bringt und speichert. Laut Facebook wird in Deutschland nur eine anonymisierte IP-Adresse gespeichert. Wenn ein Nutzer Facebookmitglied ist und nicht möchte, dass Facebook über dieses Angebot Daten über ihn sammelt und mit seinen bei Facebook gespeicherten Mitgliedsdaten verknüpft, muss er sich vor dem Besuch des Internetauftritts der Akademie Schloss Solitude bei Facebook ausloggen. Die Akademie Schloss Solitude nutzt die Schaltflächen des Dienstes Twitter. Diese Schaltflächen werden angeboten von der Twitter Inc., 795 Folsom St., Suite 600, San Francisco, CA 94107, USA. Sie sind an Begriffen wie »Twitter« oder »Folge«, verbunden mit einem stilisierten blauen Vogel erkennbar. Mit Hilfe der Schaltflächen ist es möglich, einen Beitrag oder Seite des Angebotes der Akademie Schloss Solitude bei Twitter zu teilen oder dem Anbieter bei Twitter zu folgen. Wenn ein Nutzer eine Webseite dieses Internetauftritts aufruft, die einen solchen Button enthält, baut sein Browser eine direkte Verbindung mit den Servern von Twitter auf. Der Inhalt der Twitter-Schaltflächen wird von Twitter direkt an den Browser des Nutzers übermittelt. Der Anbieter hat daher keinen Einfluss auf den Umfang der Daten, die Twitter mithilfe dieses Plugins erhebt und informiert die Nutzer entsprechend seinem Kenntnisstand. Nach diesem wird lediglich die IP-Adresse des Nutzers die URL der jeweiligen Webseite beim Bezug des Buttons mit übermittelt, aber nicht für andere Zwecke als die Darstellung des Buttons genutzt. Wenn Nutzer eine Seite unseres Webauftritts aufrufen, die ein solches Plugin enthält, stellt ihr Browser eine direkte Verbindung zu den Servern von Instagram her. Der Inhalt des Plugins wird von Instagram direkt an ihren Browser übermittelt und in die Seite eingebunden. Durch diese Einbindung erhält Instagram die Information, dass der Browser die entsprechende Seite unseres Webauftritts aufgerufen hat, auch wenn der Nutzer kein Instagram-Profil besitzt oder gerade nicht bei Instagram eingeloggt ist. Diese Information (einschließlich der IP-Adresse des Nutzers) wird von dessen Browser direkt an einen Server von Instagram in die USA übermittelt und dort gespeichert. Ist der Nutzer bei Instagram eingeloggt, kann Instagram den Besuch unserer Website dessen Instagram-Account unmittelbar zuordnen. Wenn der Nutzer mit den Plugins interagiert, zum Beispiel den »Instagram«-Button betätigt, wird diese Information ebenfalls direkt an einen Server von Instagram übermittelt und dort gespeichert. Die Informationen werden außerdem auf dem Instagram-Account des Nutzers veröffentlicht und dort den jeweiligen Kontakten angezeigt. Die Akademie Schloss Solitude benutzt WordPress.com-Stats, ein Tool zur statistischen Auswertung der Besucherzugriffe, betrieben von Automattic, Inc. 132 Hawthorne Street San Francisco, CA 94107, USA, unter Einsatz der Tracking-Technologie von Quantcast Inc., 201 3rd St, Floor 2, San Francisco, CA 94103-3153, USA. WordPress.com-Stats verwendet sog. »Cookies«, Textdateien, die auf dem Computer des Nutzers gespeichert werden und die eine Analyse der Benutzung der Websiete durch den Nutzer ermöglichen. Die durch den Cookie erzeugten Informationen über die Benutzung dieses Internetangebotes werden auf einem Server in den USA gespeichert. Die IP-Adresse wird vor deren Speicherung anonymisiert. Der Nutzer kann die Installation der Cookies durch eine entsprechende Einstellung seiner Browser-Software verhindern; wir weisen Nutzer jedoch darauf hin, dass sie in diesem Fall gegebenenfalls nicht sämtliche Funktionen dieser Webseite vollumfänglich nutzen können. Nutzer können der Erhebung und Nutzung der Daten durch Quantcast mit Wirkung für die Zukunft widersprechen, indem sie an dieser Stelle durch einen Klick auf den Link »Click here to opt-out« ein Opt-Out-Cookie in ihrem Browser setzen: http://www.quantcast.com/opt-out.